Nathan was with Middlesbrough FC until released at age 18 when he joined Darlington FC and played in the Football League for them. 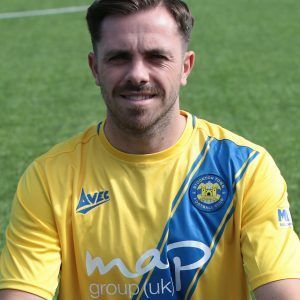 He joins us from Billingham Synthonia having previously played for Marske Utd, Norton & Stockton Ancients. Nathan is a technically good, all round player, mobile, deceptively good in the air and can play in a variety of positions but operates mainly as an attacking or holding midfielder. Nathans quality and experience was key on the road to Wembley in 2018 and he wrote himself into Anchors history by tucking away the crucial Penalty in the Semi Final Second Leg.